Inspire Your Kids to Exercise – Show Them Fitness Is Fun! 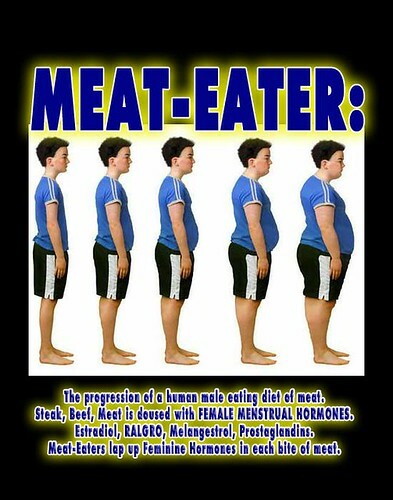 Childhood obesity is forever on the rise and it seems sad that today’s children are so sedentary. Weight is allowed to pile up on them before they are old enough to even realise what is happening. We as parents have a duty to keep them as fit as possible and promote healthy living in order to give them the best start in life. An active child is rarely an obese one (unless they have a medical condition) so if your child looks like they are piling on the pounds, you need to do something about it. If you sit around all day then what do you expect your children to do? If they see you active they are far more likely to think that this is the norm. Walk or run whenever you can – leave the car at home. Go swimming, go for a bike ride, or join a team sport – whatever you can. Your kids will see that you are fit and healthy and you will have far more energy as a result. How about taking them to the gym with you to walk or run on a treadmill?! All kids want to watch a little bit of television here and there but it’s up to you to supervise this and limit how long they are sat in front of the TV for. Allow them an hour a day, or whatever you think is best, and encourage them to spend the rest of their free time playing outside, going swimming, or whatever it is that they are into. Children love to be rewarded for their activities so if they get a medal at school for a fitness achievement then reward them in a suitable way. Perhaps you could buy them some new football boots, or a new tracksuit. They will feel very pleased with themselves and will be motivated to do more and more. The key to getting kids fit is to make it interesting for them – of course they won’t want to run in circles or do something that bores them. Ask them what they would like to get into and get behind it. Perhaps they have always wanted dance classes but never been confident enough to ask? No matter what sort of exercise your child is into it’s essential that you encourage them and let them know that you are proud of them. Go and watch their matches, cheer them on and give them a big hug to show them how well they have done. The fitter they are, the more active they will want to be, so it’s a self-fulfilling prophecy!